Last week we covered how to prevent ambush attacks at a school or facility. This week we’ll cover proven practices, procedures and technologies to prevent unlawful and unchecked access. Someone has breached your school’s perimeter, so now you need to play defense. The difficulties encountered by intruders when attempting to move through your facility may determine how serious the breach becomes. The challenge; make defensive measures as seamless as possible for students, patrons and employees. 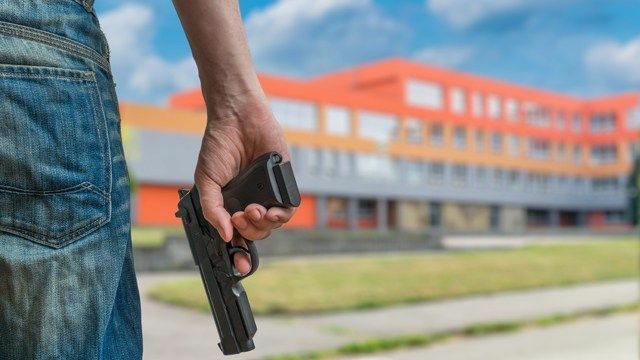 Statistics show that rural and exurban schools have a greater need for self-reliant methods to protect themselves. Here are ways to defend against unregulated access from unauthorized people while maintaining a seamless and free-flowing environment. The first is essential. A) Start with a total staff & student “Buy-In” mindset, and commitment to safety & security, with student meetings and training exercises for faculty and staff. B) After hours alarm systems, with presence & motion sensors integrated with local law enforcement. C) Lock all doors from the inside to secure against unauthorized outside entries. D) Require Photo ID badges or cards be worn at all times, with visitor badges contrasting in color and shape. E) Require appointments for guest visitors. F) Require off hour entries through monitored visitor entrances. G) Lock doors to sensitive areas and classrooms during class periods. H) Approach and identify all off hours occupants in hallways or rooms. I) Random walkthrough of isolated or normally unoccupied areas for scrutiny at irregular times. J) Project authority with IP surveillance systems and intercom communications, networked with law enforcement. Next week we discuss creating a hostile environment toward the shooter that can delay, disorient, and even defeat the assailant. This entry was posted in Access Control, Anti-Terrorism, Commercial Facilities, Courthouse Security, Isotec Security, Law Enforcement, Local Community Protection, Safety Entrance, School Security and tagged Access Control Portals, Anti-terrorism Technologies, Law Enforcement, School Security. Bookmark the permalink.